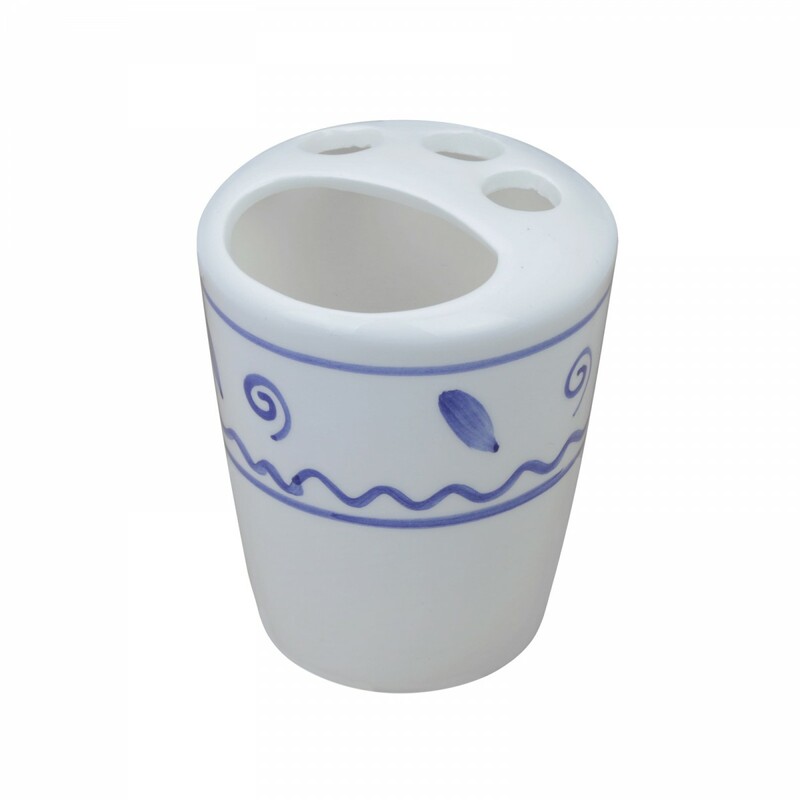 Bathroom Accessories: Neptune ceramic toothbrush and paste holder is a pretty addition to any bath with a deep sea blue glazed design on a natural white background. Holds 3 toothbrushes and a tube of toothpaste. Measures 3 7/8 in. H x 3 1/4 in. diameter. I really wanted a toothbrush holder that wasn't sleek & modern, plain & boring or cheap looking. I have an old house & wanted something that would suit my taste & blend with my decor. This is a cute toothbrush holder. 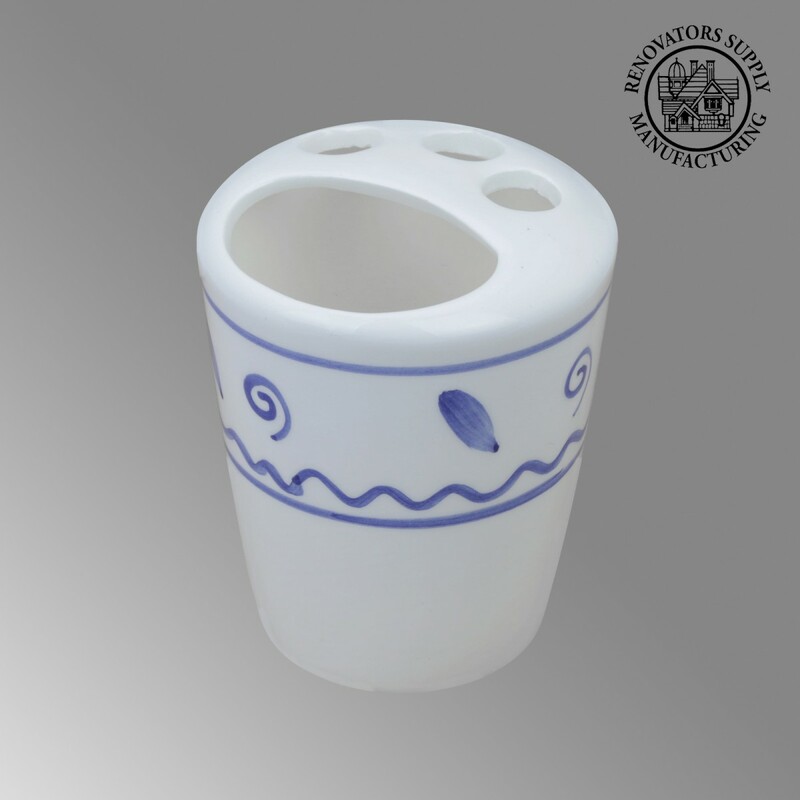 It's ceramic & the design attracts your attention. It looks nice sitting on my vanity & makes me happy. It's just what I was looking for! The only problem I can see is that water left on the toothbrush will pool in the bottom, but I am just making it a point to rinse it out a few times a week. Nice quality, no hole in the bottom. It's beautiful & it looks great in my bathroom.